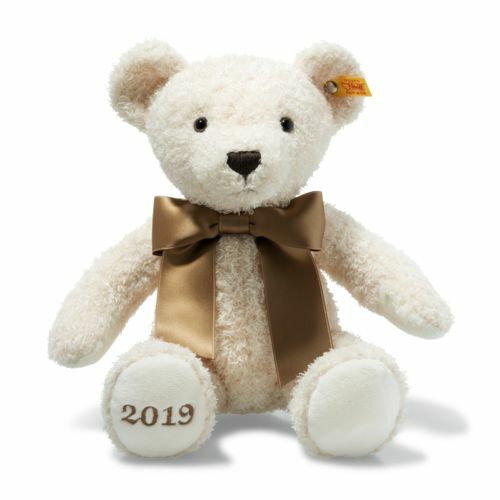 This lovely teddy is 34 cm tall and has the year 2019 printed on his right sole. He is dressed for celebration with a light brown ribbon, which is permanently fastened to him. He is sure to win your heart and bring you luck in 2019. A wonderful gift idea for New Year's Day or to give remembrance or thanks for something very special.